Members of the guild of aerial insectivores, many of which are declining across the continent, Poorwills and Common Nighthawks (Threatened) are cryptic, nocturnal species about which we know very little. WildResearch is looking for surveyors to build our basic knowledge of these two species. 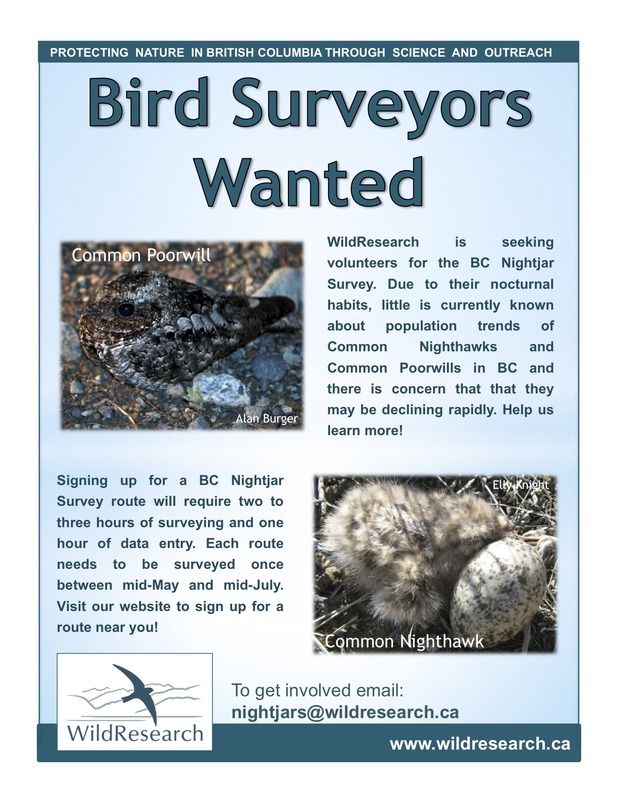 Take a look at the poster below, and click the link here to go directly to the WildResearch website.